For romance or relaxation, holidays in Bugibba never disappoint the discerning traveller. 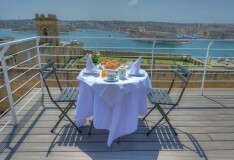 Located on Malta's northeast coast, this resort destination affords visitors idyllic views of the magnificent Mediterranean from its shores. Despite being a small town, the modern hotels, promenade, and waterpark make it one of the island’s most in-demand resorts. The climate is typically Mediterranean, similar to that of Southern Italy or Southern Greece. In the summer there is up 12 hours of sunshine a day. 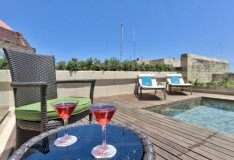 During these months, you will also enjoy temperatures ranging from 26°C to 30°C. For a truly unique spectacle, the annual pyrotechnic competition, otherwise known as the Malta International Fireworks Festival, lasts over three nights and is well worth the trip over to Valletta. Closer to home, the Malta Classic Car Collection has a great assortment of vintage titbits and memorabilia from the 1950s and 60s, not to mention the impressive collection of mint-condition motors, including Jaguars, Ferraris and Bugattis. Awe-inspiring rocky beaches make the ideal lovers' reprieve. The man-made, Blue Flag Bugibba Perched beach is in the centre of the town and perched, as its name suggest, above sea-level. Sunbath on the majestic flat rock beaches or head down the wooden bridges to cool off in the deep and clear waters of the sea. An array of international cuisine is on offer in the multiple eateries that call Bugibba home. Venus Restaurant is immensely popular, serving Meditarranean and seafood dishes. SALT and The Chef’s Table are also highly recommended. Further afield, the Qawra promenade has a fine selection of restaurants with even better views. For all-out dancing, Velvet is the best option in town. The DJ and dancefloor are situated beneath the more subtle lounge bar of upstairs, and you may catch some live music there, too. The ever-present Irish bar option takes the form of O’Reilly’s. And a visit to Bugibba would not be complete without hitting Fat Harry’s Pub, which is found right on top of the main square and is incredibly popular. There’s quite a bit of cultural activities going on in and around Bagibba, one of the highlights being the Malta National Aquarium found in nearby Qawra.The tanks, rather cleverly, mimic the island’s waters and there’s also an underwater tunnel. 15 minutes away in Mosta, the Feast of Consumption is a religious festival that takes place at the 19th Century Rotunda of St Mary. The building, which has one of the world’s largest domes, is worth taking in even if the festival isn’t on. 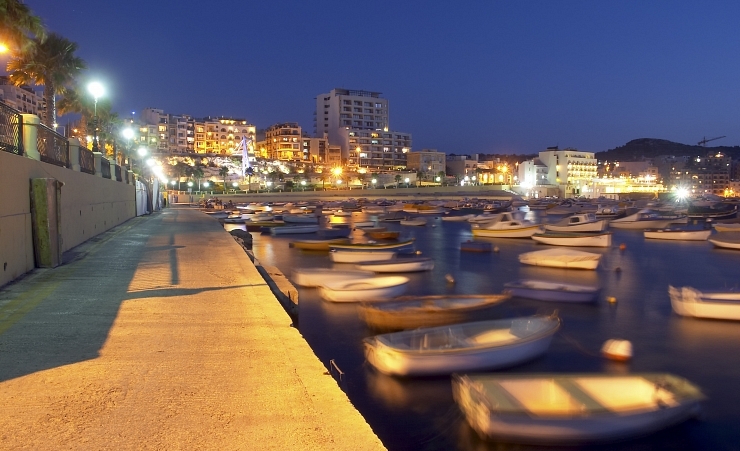 Visitors to Bugibba can also enjoy miles of scenic coastline, enriched by Malta's warm climate. Buggiba's promenade winds from Salina Bay to St Paul's Bay, making a Bugibba holiday ripe for romantic walks. For something a bit more action-packed, Bugibba Water Park may be small, but considering the free entry and host of things to keep the kids occupied, it’s a real crowd pleaser. Or waiting beneath your feet is the rugged coastline, perfect for snorkelling around. And adventurers among you may be taken by the offer of scuba diving to the shipwrecks and sunken 13-ton Jesus statue found further out to sea. The whole of the St Paul’s Bay area is quite compact, so getting around on foot is trouble-free. There’s a promenade connecting St. Paul’s Bay, Qawra and Bugibba’s centre. Buses are also available that will connect you to many of the major towns of Malta.